A great boss or supervisor supports, inspires and pushes others towards excellence. A great boss is effective, passionate, intuitive and resourceful. And finally, a great boss is truly committed to developing the careers of the people they supervise. Over the past several weeks, young nonprofit professionals all over Greater Richmond submitted nominations for their great boss or supervisor to the Young Nonprofit Professionals Network RVA (YNPN RVA). 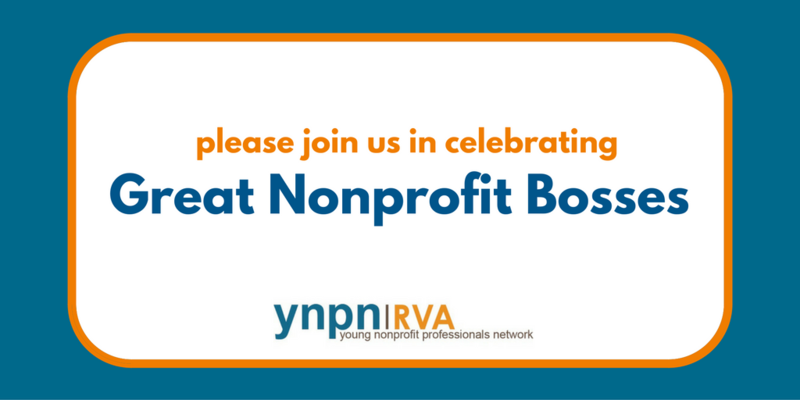 Please join us in a celebration to honor these great nonprofit bosses.